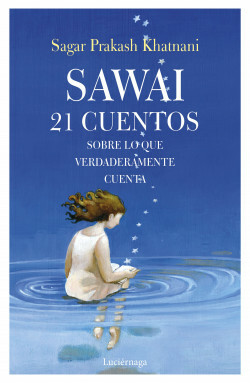 Sawai is a moving book about love, the passage of time and life that is framed in an oriental and far off world, but which has universal content. These are classic stories reinvented, others unpublished, that deal with such current topics as social equality, homosexuality, animalism, ecology and feminism. An inspiring book, with a surprising plot, accompanied by curiosities and interesting facts, where finally everything fits together perfectly, like the pieces of a puzzle. Sagar Prakash Khatnani presents us with a superb portrait of innocence and redemption and shows us the power of the will to change our lives. All the stories contain a reflection and lead the reader to become involved in the conflict and not to remain indifferent. A book that leaves a deep mark: page after page one discovers a world where feelings and tenderness are all that matter, and where prejudices remain on the sidelines.